the button mushroom still ok... but shiitake?!! aint that a bit weird to be served on baguette bread? That really sounds YUMMY!!! I am going to spread the bread with soft goat cheese and then put the mushrooms on top. Well, I will do that if I don't eat all the mushrooms right out of the skillet!! Thanks for sharing!! Great Photos!!!!!!! What a wonderful idea for mushroom lovers! The picture reminds me of mushrooms I used to have at the Renaissance Faire - they were made with a lot of garlic and absolutely delicious. 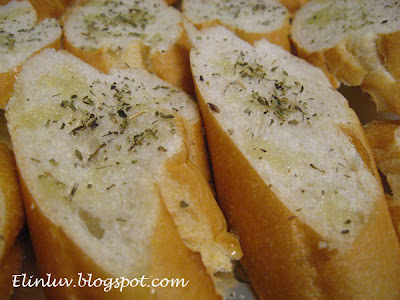 I love to eat this when I'm in a cafe ! Thanks for sharing this recipe! Try carmelizing onions, remove from pan and add mushrooms (yes shitaki's are great but any will do, even a mixture). 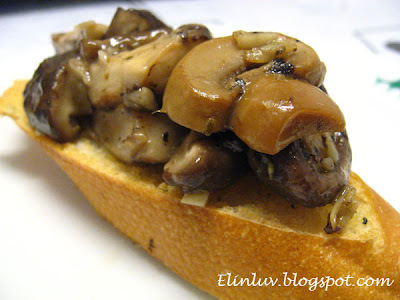 Mix 1/4 c sour cream with 1/4 c feta and spread on bread, top with the mushrooms. Unreal!! 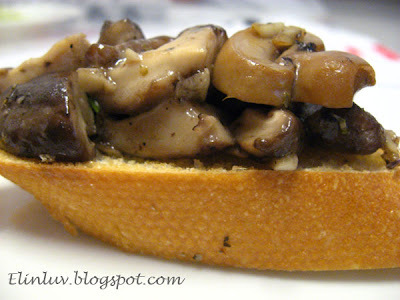 @J2Kfm : Not weird..it goes well with baguette :) if you are a fan of mushrooms. 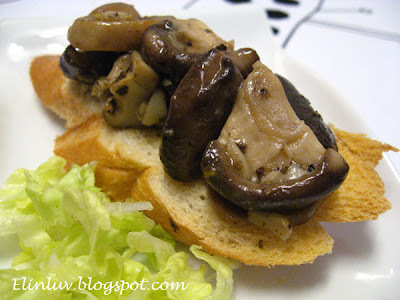 @Penang Tua Pui : Hi,those mushrooms were not glued but sat nicely on the surface of the toasted baguette..haha and when using hands to eat, place your thumb and middle finger on both sides of the baguette with the index finger pressing on the mushrooms. This way it wont fall off the baguette. 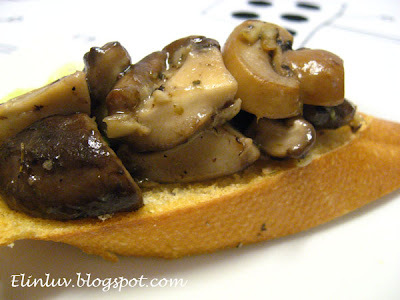 @ Hillary : Thanks for dropping by> Yup, the garlic added flavor to the sauteed mushrooms ! 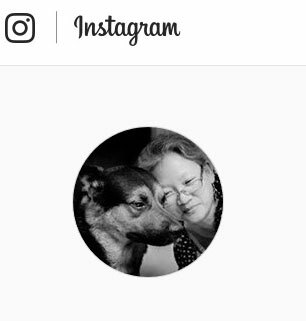 @ Aimei : Hope you like it too! @ Sheila : Hi, thanks for sharing such a wonderful recipe..would try this out...mmm caramelised onions..yummy! 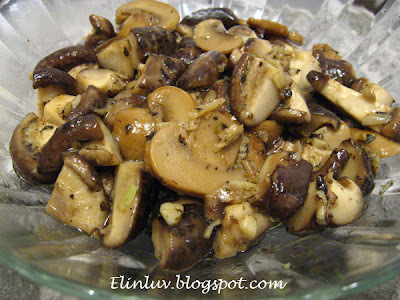 Shiitake gives a lot of flavor and I love it..Lovelove love this recipe..